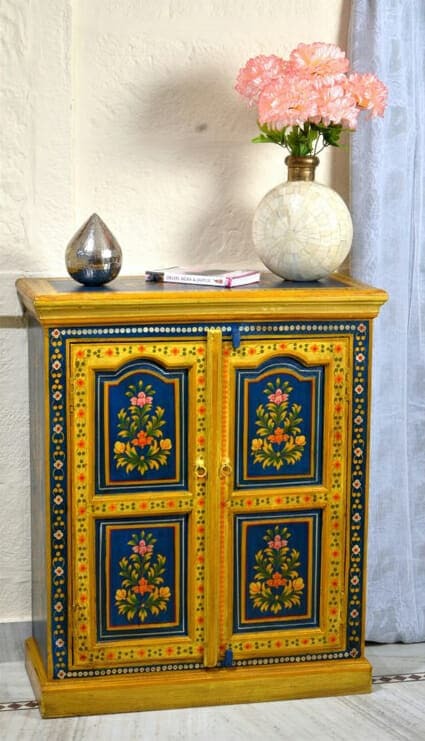 A stunning offset between the royal hue of deep blue and the vivacious golden yellow, the flower decoration on the inset panels makes a striking design. 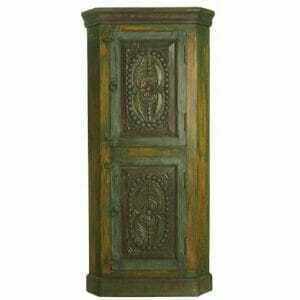 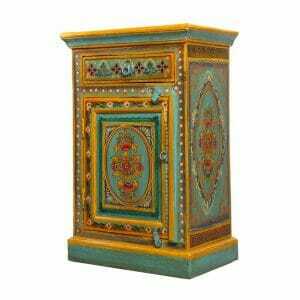 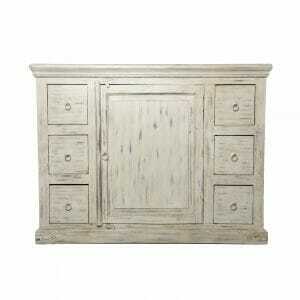 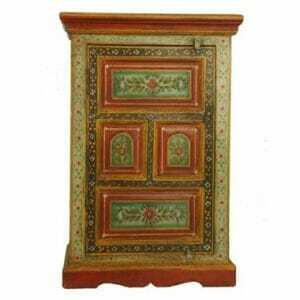 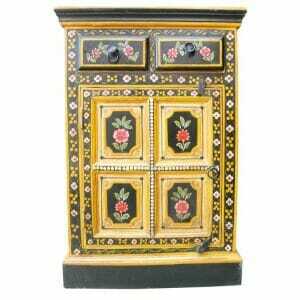 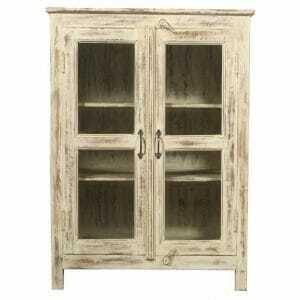 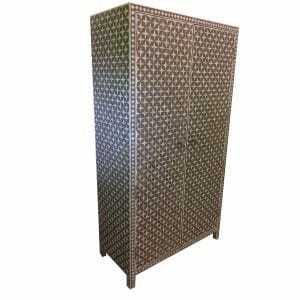 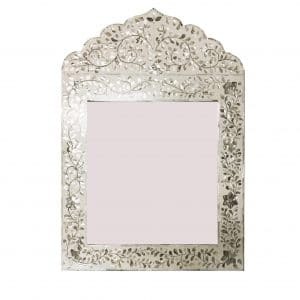 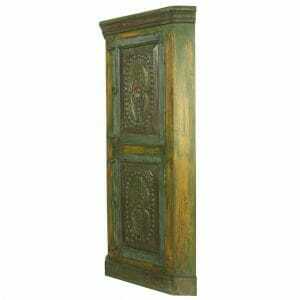 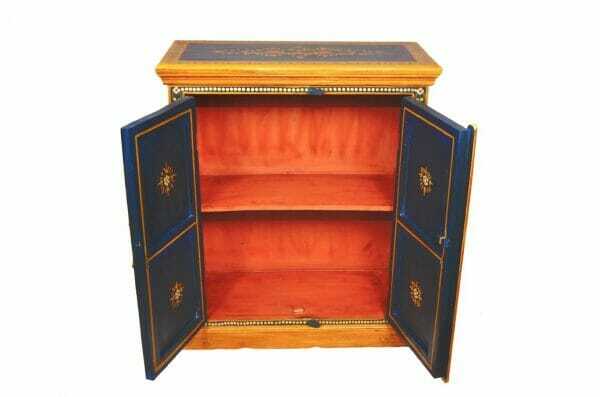 This Indian cupboard is well crafted to hold household treasures. 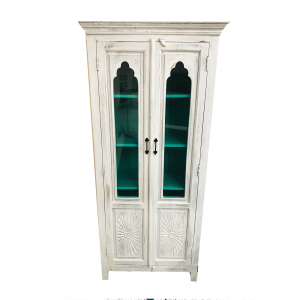 With a solid internal shelf and simple wooden drop-catch, the cabinet offers tactile pleasure, well made for use as well as ornamentation. 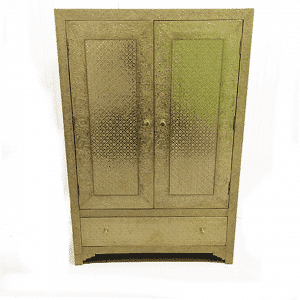 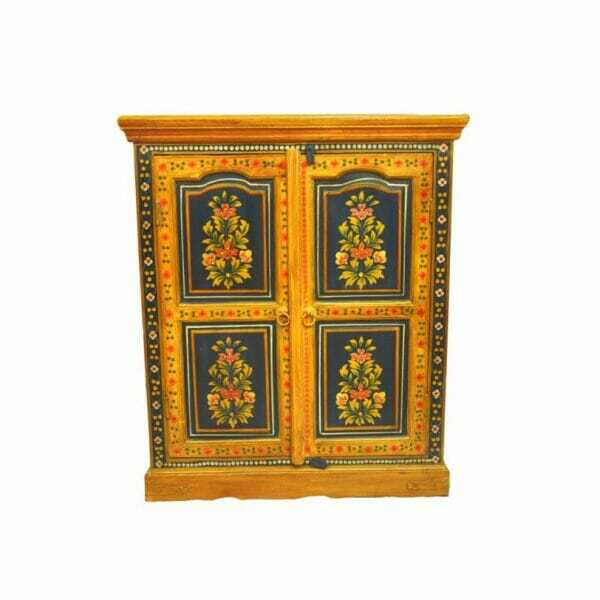 This painted cupboard is ideal for the kitchen or living room and would be well placed to add a pleasing aesthetic in a nook or as a stand alone feature, somewhere you want to draw the eye. 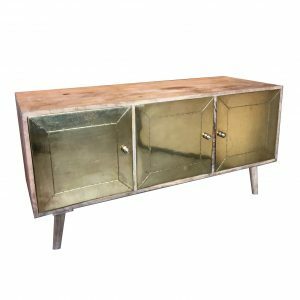 The cabinet is a versatile gap-filler and good for decluttering a space, with its handy drawers and solid hard wood internal shelf. 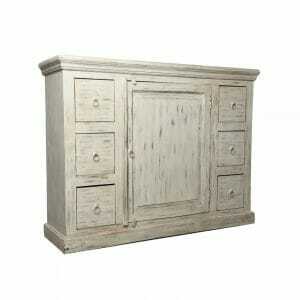 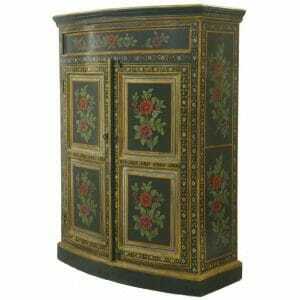 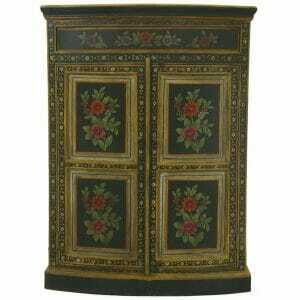 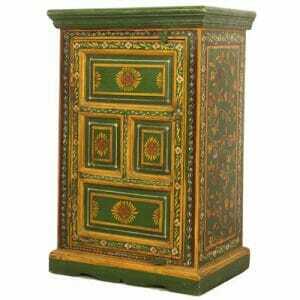 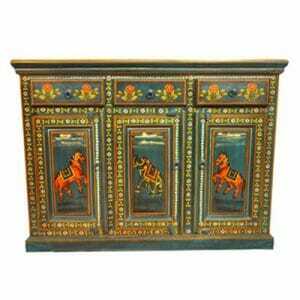 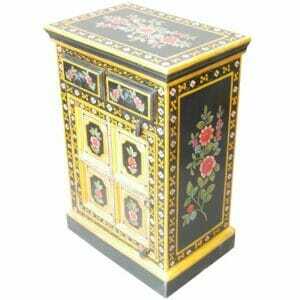 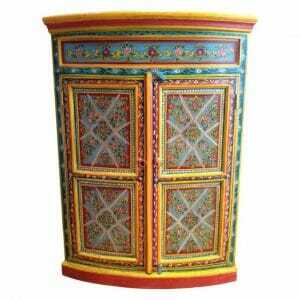 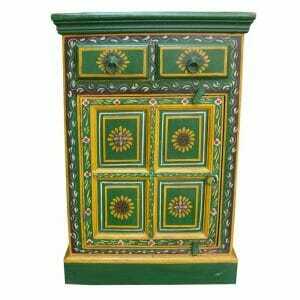 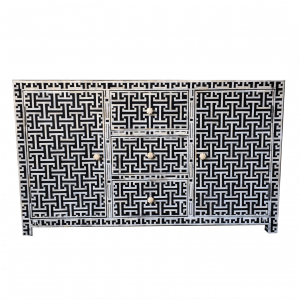 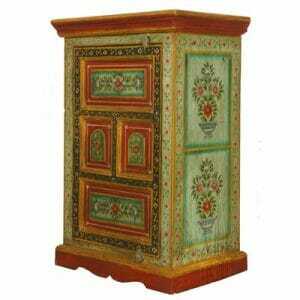 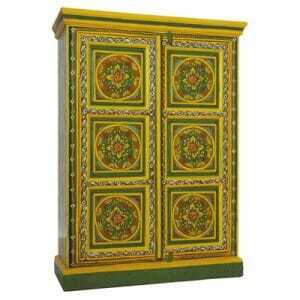 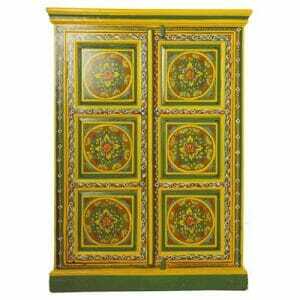 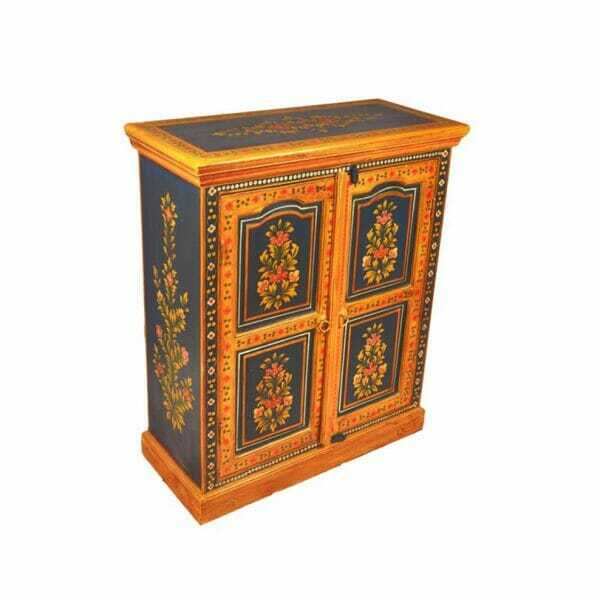 Fashioned from sustainably farmed, resilient sheesham wood, using a blend of modern and traditional carpentry skills, the results are an ornate, painted cabinet that is strong and durable, with a good weight capacity, perfect for heavy, bulky or awkward items, with thick cut hardwood shelves that hold their shape under pressure. 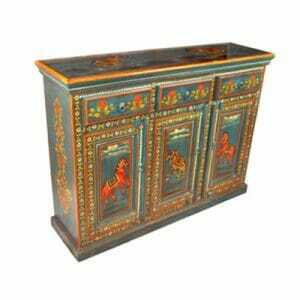 The surface is protected with a thick layer of varnish, that adds lustre and hue to the colours, toning them down from their super-bright original state into softer, deeper and subtler colour arrangements, making them ideal to suit a wide range of interior décor schemes. 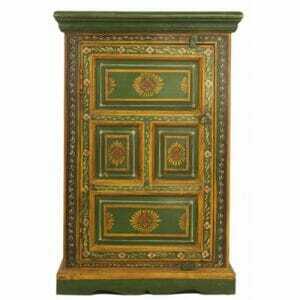 The finish should last for the long, long lifetime of the furniture itself. 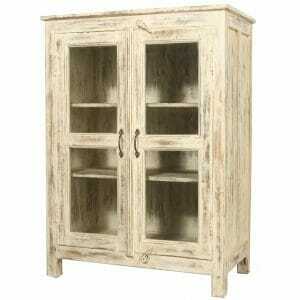 Well built, hard wood furniture is made to last through generations, making it an investment in long term enjoyment. 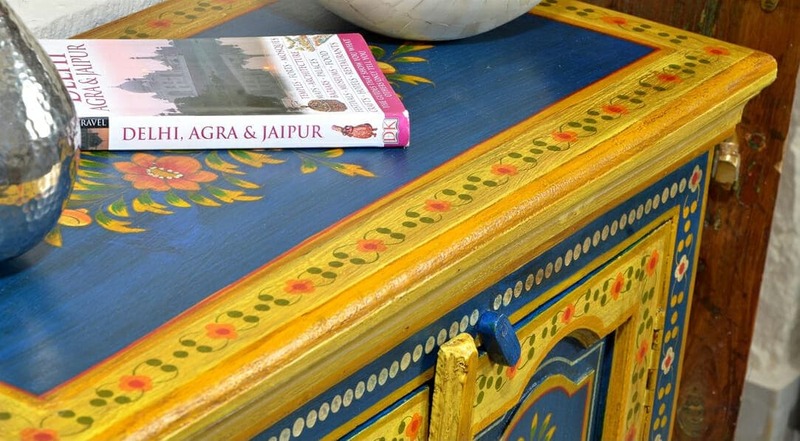 We travel often to India to meet with our suppliers and personally vouch for the consistently superior quality and conformity of the materials as well as the workmanship that goes into every single piece of Indian furniture. 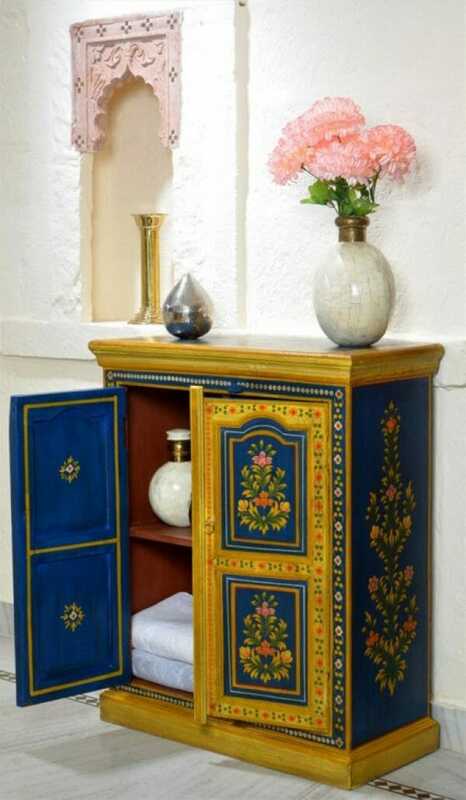 The Indian artisans of Rajasthan have learnt their woodworking skills care of academy training that combines the very best of inherited tradition with modern and international innovations in carpentry. 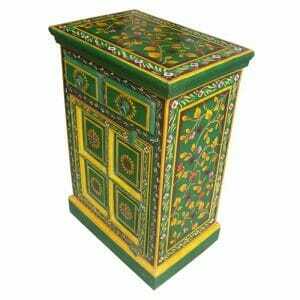 Working in sheesham or mango wood, Indian furniture that lasts is fashioned from trees that will regrow fast. 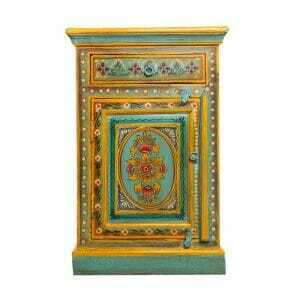 Sustainably farmed in line with India’s strict forestation policies, sheesham wood is chosen for its longevity and is often harvested in small quantities by farmers who grow this on the outskirts of their land. 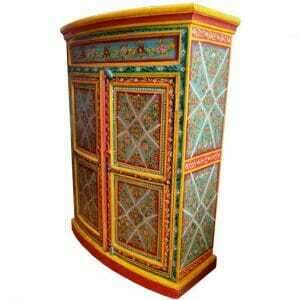 If you would like this cupboard or any other piece of Indian furniture made to order, the master craftsmen who fashion these works are always happy to create original, bespoke furniture designed just for you. 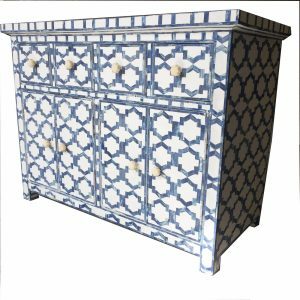 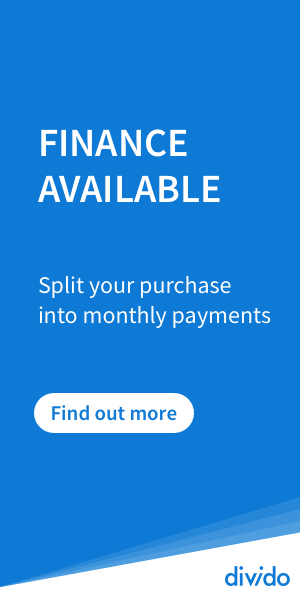 There is no extra cost for this service, so simply let us know your requirements, with measurements and we can supply you with a quote.